Are you looking to buy a rustic dresser for your bedroom? Find some very gorgeous ones here at discount prices online. When you buy a dresser you are making a statement in your home. Rustic furniture helps set a ranch type or Mexican style home and looks great combined with Mexican decor. Click to View What's on Sale? 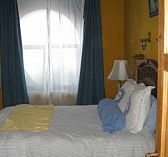 Rustic furniture is perfect for a bedroom theme with a Mexican hacienda style to it. If you love Mexican art work and other imported items then pick out your favorite dresser that will look great in your bedroom. 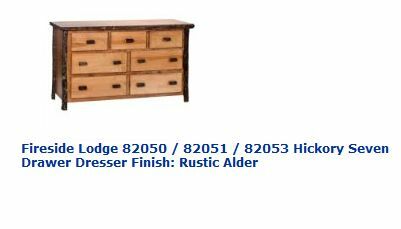 This dresser measures 24 x 63 x 36 inches and will look great in your rustic bedroom. It is constructed of hickory that come straight from Tennessee forests and has a charming rustic look to it. It contains seven dresser drawers which will help to hold all of your valuable clothing or other items. It is available in several different finishes to match your home including: Traditional, Rustic Maple and Rustic Alder. The drawers measure approximately eight inches deep for maximum storage capacity. Here is a very pretty dresser and a favorite for rustic furniture lovers. It measures 30 inches high x 18 inches wide x 16 inches long.. This is a gorgeous handmade dresser that will fit in anywhere in your home. You can place all kinds of items in here including clothes, so it is pretty versatile. It has a total of 6 drawers with pretty leaf shaped hardware that adds to its elegance and design. This product may look Mexican but it is actually crafted by Chinese artisans. The finish is in a beautiful rich walnut which looks lovely and helps the wood texture to shine through. Each piece will have some subtle difference due to the handmade nature of the dresser. Find a spot for this best selling rustic dresser in your home. Place pictures or other decorative items on the top for more emphasis.